Choose Tahitian pearls for your necklace, among a rich collection of pearl necklaces and other cultured pearls. You will fall in love with your Tahitian pearl, the jewels of Polynesian archipelagos. 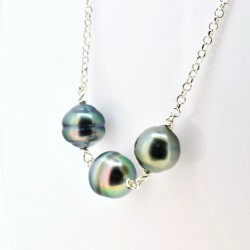 Mounted on silver, gold, leather, or even mother-of-pearl from an oister, Tahitian pearl necklaces are refined jewelry fit for any social event, casual or formal alike. Our necklaces are made in France and come with a certificate of authenticity and a jewelry box. 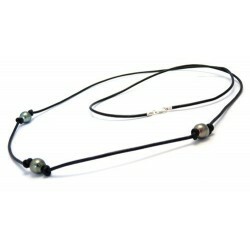 Pear circled shaped pearl black cotton necklace The necklace's length is adjustable with the sliding knots, and a silver bayonet clasp is in option.Pear shaped Tahitian cultured pearl, 10.5 mm AA+ qualityAll our jewelry comes in an individual jewelry box along with a GIA authenticity certificate. 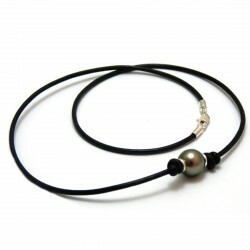 Braided leather necklace with a circled Tahitian cultured pearl. 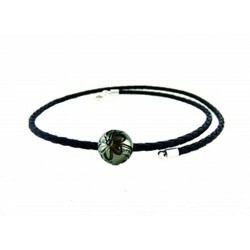 Using high quality Belgian leather and a single circled Tahitian pearl. A unisex piece of jewelry.Circled Tahitian pearl, 10-10,5mm AA+/AAA quality All our jewelry comes in an individual jewelry box along with a GIA authenticity certificate. 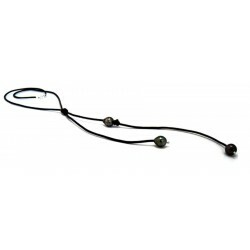 Leather necktie style necklace with two circled Tahitian pearls. A handsome brown leather necklace with two large Tahitian pearls hanging for the end.The length is adjustable with the necktie knot at the center.Circled Tahitian pearls, 11-11.5mmAll our jewelry comes in an individual jewelry box along with a GIA authenticity certificate. 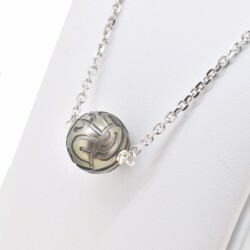 Lauren Sterling silver chain necklace with Tahitian cultured pearls. With a choice in pearl overtones and necklace length, discover this magnificent Venitian mail chain necklace.Round Tahitian cultured pearls, 10mm AA+/AAA qualityAll our jewelry comes in an individual jewelry box along with a GIA authenticity certificate. 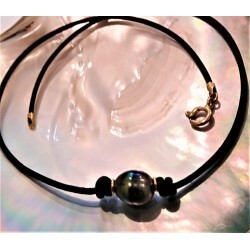 A 3 circled Tahitian pearl natural leather necklace. 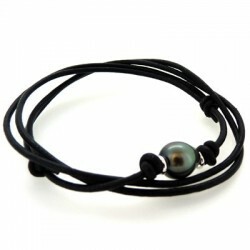 High quality Belgian leather, 2mm thick Circled Tahitian cultured pearls, 10mm AA quality. All our jewelry comes in an individual jewelry box along with a GIA authenticity certificate. 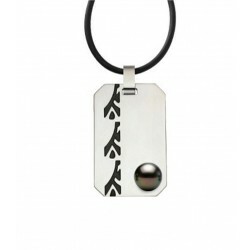 Surf leather necklace with a round Tahitian pearls and Sterling silver ferrules. A different approach to our classic leather necklace, with thin ferrules and a silver claspRound Tahitian pearls, 9.5mm AA qualityAll our jewelry comes in an individual jewelry box along with a GIA authenticity certificate. 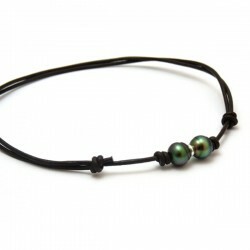 Braided leather necklace with a round Tahitian cultured pearl. 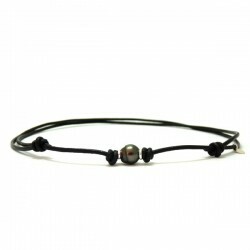 Using high quality Belgian leather and a single round Tahitian pearl. A unisex piece of jewelry.Round Tahitian pearl, 9.5-10mm AA+/AAA quality All our jewelry comes in an individual jewelry box along with a GIA authenticity certificate. 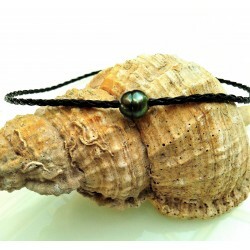 Braided leather necklace with a round engraved 12mm Tahitian cultured pearl. 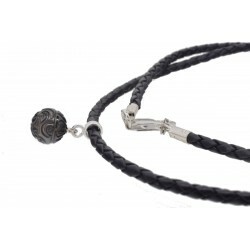 Using high quality Belgian leather and an exquisite Tahitian pearl engraved by hand.A unisex piece of jewelry.Round Tahitian pearl, 9-10mm AA+/AAA quality All our jewelry comes in an individual jewelry box along with a GIA authenticity certificate. My Lady Sterling silver and Strass zirconium necklace with a round Tahitian pearl. Round Tahitian pearl, 9.5-10 mm AA+ quality Necklace length : 46-48 cm Sterling silver clasp All our jewelry comes in an individual jewelry box along with a GIA authenticity certificate.